We offe new Grade 9 students at Luther a chance to attend the Grade 9 Outdoor School. This outdoor educational experience will be a chance for students to build community and make lasting connections with each other. This will also be an amazing opportunity to engage with the natural world, learn some new skills, and have a lot of fun! Throughout this two day adventure, students will participate in a range of outdoor programming including team-building exercises, group-wide games, swimming, canoeing, kayaking, outdoor cooking, hiking, beach games, and more. They will also learn about the Qu’Appelle Valley ecosystem, learn about the history of the region, and learn some handy outdoor survival skills. 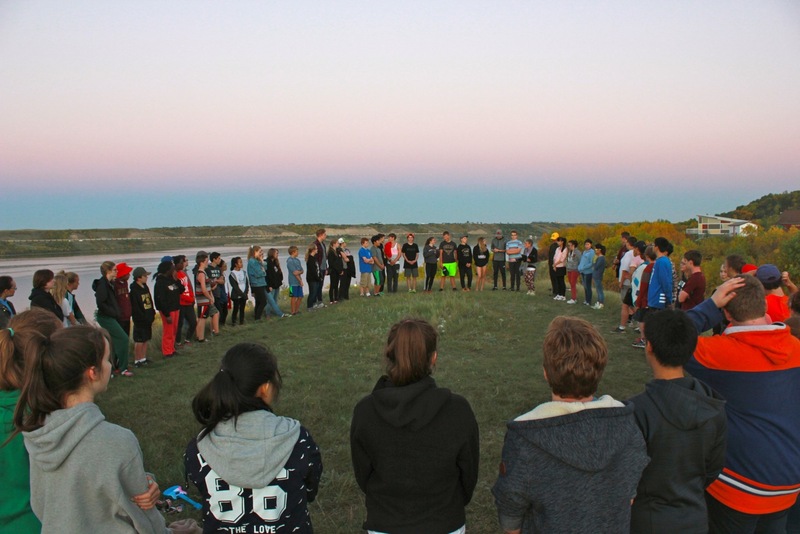 Students will stay in cabin groups divided by gender and will have supervision and leadership from both Luther teachers as well as Grade 12 student counselors. We believe that the immersive setting of summer camp provides an unparalleled opportunity for new students to make friends and start their high school career off right! For more information on the social, psychological and educational benefits of summer camp take a look at the Canadian Summer Camp Research Project. Download and print the attached Registration Form. Complete Registration Form, attach a cheque dated June 1 for $100 payable to Luther College High School, and enclose both in an envelope. If you have any questions or concerns, please do not hesitate to contact Mr. Kris Dueck at kris.dueck@luthercollege.edu.